Introducing the Winston AIR. A new line of super premium, ultra-lightweight, all around fly rods which break boundaries in performance. 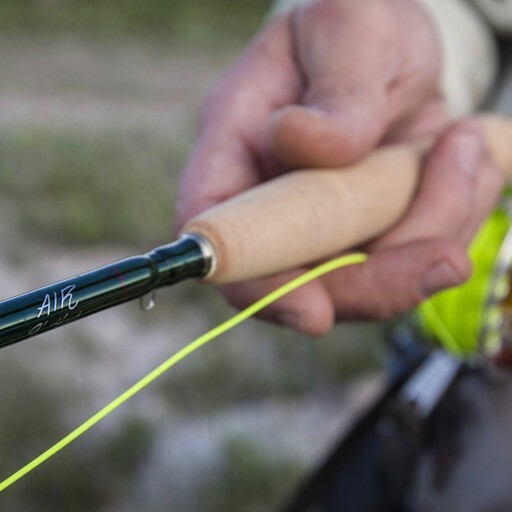 These new Winston AIR rods feature new materials and a revolutionary new design. The combination of our new SuperSilica™ resin system with high modulus Boron means significantly less weight, more liveliness, an even wider casting range, and higher responsiveness for optimum presentation. These rods provide an amazingly smooth transition of power with any length of cast and incredible responsiveness and flex without feeling stiff. We’ve added a new level of energy to our characteristically smooth Winston Progressive Action. The result: A true step forward in premium rods. Available in weights 3 through 6.